Manchester United’s senior players are “angry and frustrated” with manager Jose Mourinho, ESPN have revealed. Following the Red Devils’ shock defeat and subsequent elimination from the Carabao Cup thanks to minnows Derby County, Jose Mourinho confirmed that the reports claiming he had stripped Paul Pogba off his vice-captaincy were indeed true. The gaffer did not specify the reason behind his actions, but rumours suggest that the Frenchman’s insistence that the team wasn’t playing enough attacking football, especially at home, was the reason behind their poor form at Old Trafford. While the club’s fan-base hasn’t been a fan of Pogba lately, primarily due to his refusal to rule out a potential departure from Manchester, the midfielder’s claim regarding attacking football did receive backing on social media, with supporters also expressing their frustration regarding Mourinho’s seemingly clueless tactics. However, the supporters aren’t the only ones left confused by the manager, as ESPN have revealed that even the senior players at Manchester United feel “angry and frustrated” as far as ‘the Special One’ is concerned. The manner in which Jose has treated Pogba and some of the other players has baffled the squad, and a part of it has been left questioning the gaffer’s man-management skills. Furthermore, Mourinho’s statement regarding Phil Jones and Eric Bailly post Carabao Cup exit – wherein he claimed that he “knew the team would be in trouble with Jones and Eric (taking the penalties)” – has also not been received well by the players. A source close to Pogba’s agent, Mino Raiola, has further revealed that Mourinho has already lost his greatest asset in the dressing room – the very ability to ‘cajole, read, and relate to his players’. 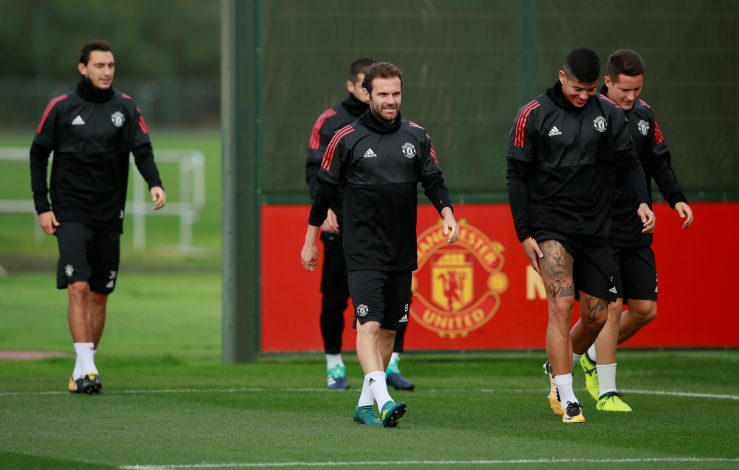 Another source has added that only a handful of players from the current squad support Mourinho completely, and that too because the Manchester United board is insistent on fully backing the 55-year-old tactician. The fact that Jose fights with his players and then asks them to give their all for him is also something that has bewildered several members of the current squad. This blind belief displayed by the club hierarchy has already led some players to reconsider their future at United, and a few could quite possibly be on their way out at the end of the season.